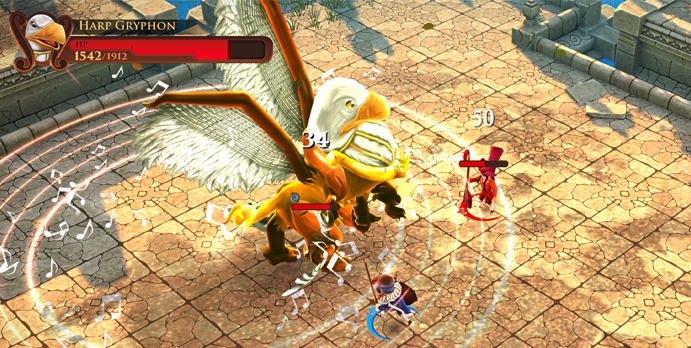 AereA is a music themed Action RPG in which you play as one of Great Maestro Guido’s disciples and explore Aezir; a floating island that was broken into pieces. Your mission is to find and return the nine primordial instruments to restore balance and peace to the world. You have to find your way through all parts of the scattered islands; complete quests, solve puzzles, defeat bosses and discover the truth behind the islands. Will you be able to return the nine primordial instruments? Play as Wolff the Harp-Archer, Jacques the Cello-Knight, Jules the Lute-Mage, Claude the Trumpet-Gunner, or team up with your friends in local co-op. Collect Music Sheets to learn new skills and customize your weapons to your play style.